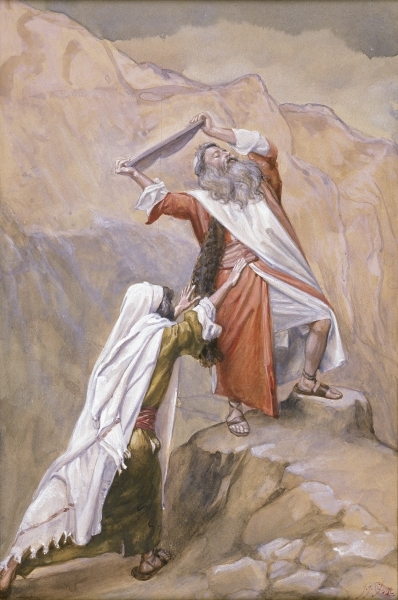 After Moses disappears for forty days into a forest fire, the Israelites decide to build a new god. Military strategy combined with a prostitute that lives in a wall. 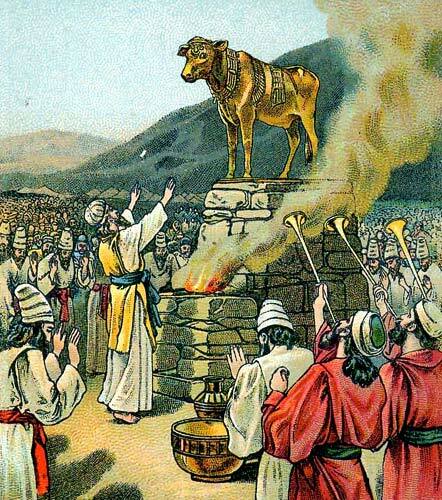 Once again, everything goes smoothly for those that demolish occupied cities on God's behalf. 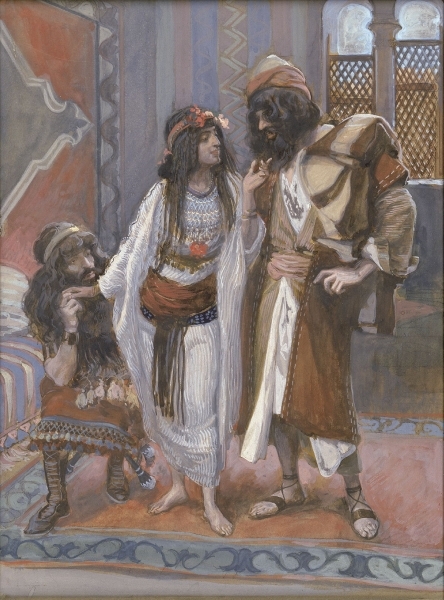 Rahab (center) in James Tissot's The Harlot of Jericho and the Two Spies.